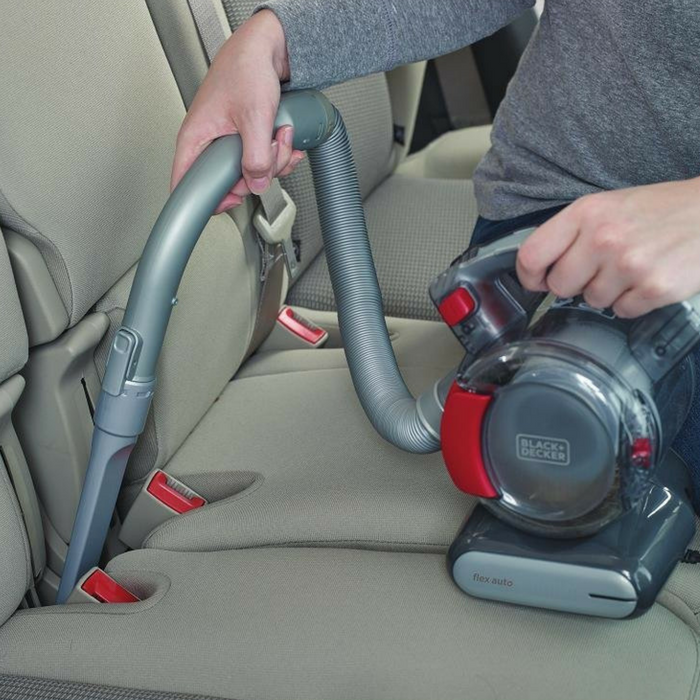 Black+Decker Automotive Vacuum Just $27.49! Down From $37.49! PLUS FREE Shipping! You are here: Home / Great Deals / Amazon Deals / Black+Decker Automotive Vacuum Just $27.49! Down From $37.49! PLUS FREE Shipping! At Amazon, you can score this Black+Decker Automotive Vacuum for just $27.49 down from $37.49 PLUS FREE shipping! This vacuum cleaner features a unique integrated hose which allows you to reach all areas of your car where other hand Vacs cannot. The patented ‘motor in the filter’ technology allows the hand Vac to be ultra compact. It offers a long crevice tool for tight areas such as underneath and in between car seats. The combined crevice and soft brush is all in one tool for ease of use. This Vac has dual functionality – it can be used as a traditional hand Vac or the handle can be removed for hard to reach areas. It also features a transparent dust bowl allows you to know when to empty the hand Vac, and the side empty door is an easy to empty system which means all the dirt goes straight in the bin and your hands don’t touch the dirt.